The year is 1822. 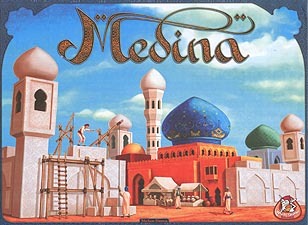 After years of decay, it is time to rebuild the medina, located at the foot of the Atlas mountains. The players work together to erect large and beautiful palaces and to renovate the damaged city wall. As life returns to the old city, people flock through the alleys, and the contours of the new city gradually reappear.